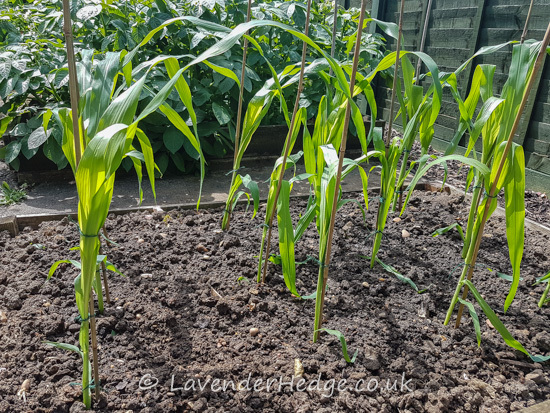 After carefully nurturing the sweetcorn in pots, until I had cleared the first bed of potatoes, I finally got to plant out the sweetcorn this weekend. 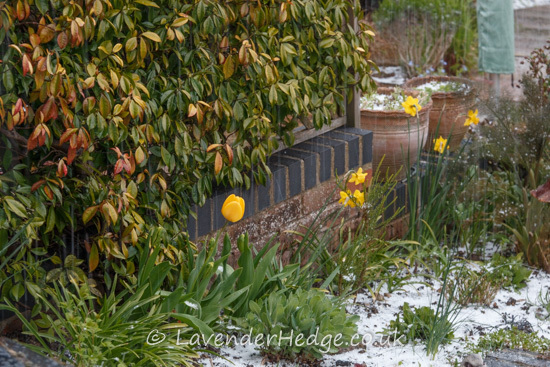 It was jolly cold today and we even got hailstones. 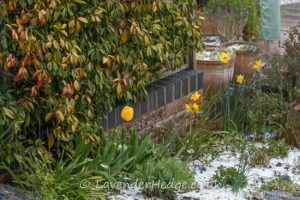 If it wasn’t for all the spring flowers, the garden would have looked like it was in the depths of winter. 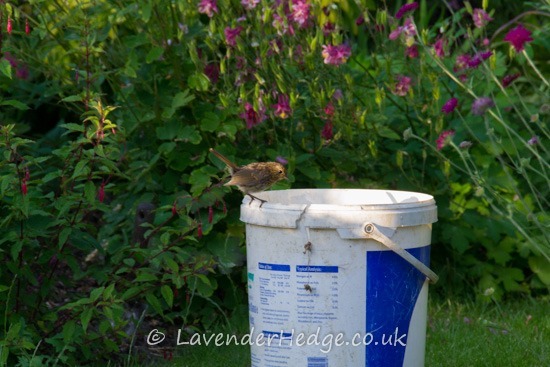 It’s still too early to add a general weed and feed to the lawn, you need to wait until April when it is a bit warmer and the grass is actively growing. 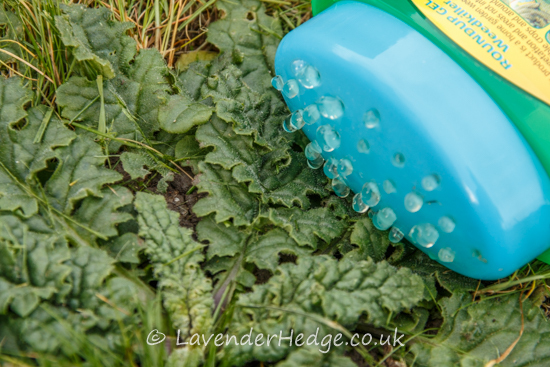 However, it is a good idea to tackle any weeds with a spot weed killer, or dig them out, before they go to seed and make more work for you later. 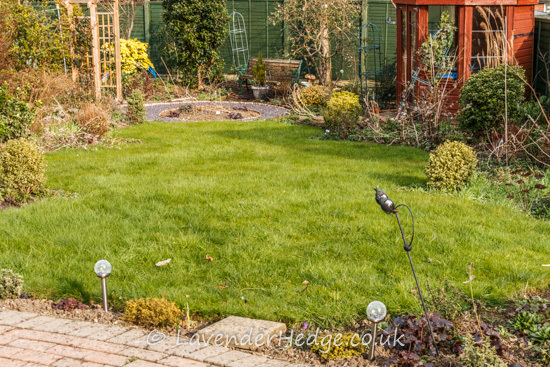 Traditionally, lawns are cut between March and October, when the weather is mild enough for the grass to grow. 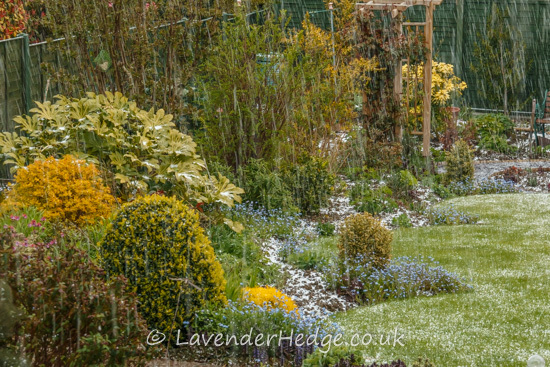 But there is no hard and fast rule about when to give your lawn it’s first cut of the season, it depends on the weather conditions in your area and the type of soil you have. 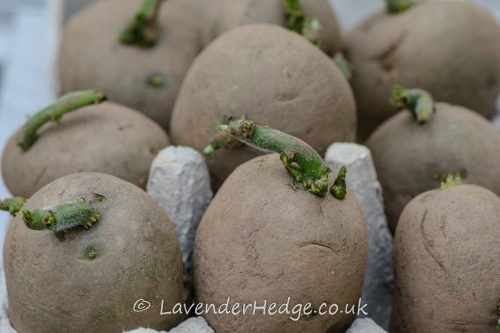 Now is the time to buy your seed potatoes and get chitting. 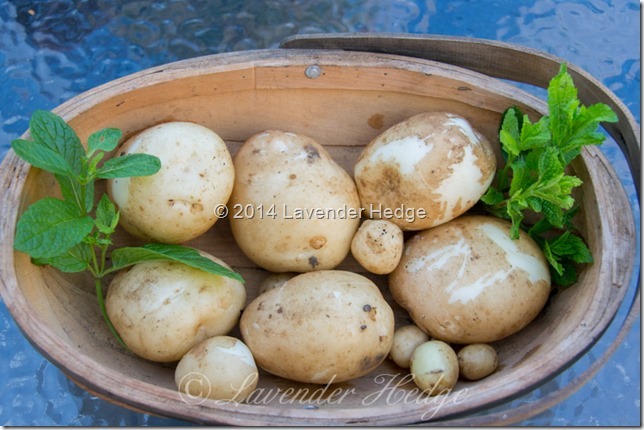 There are three main types of potatoes; first earlies, second earlies and main crop. 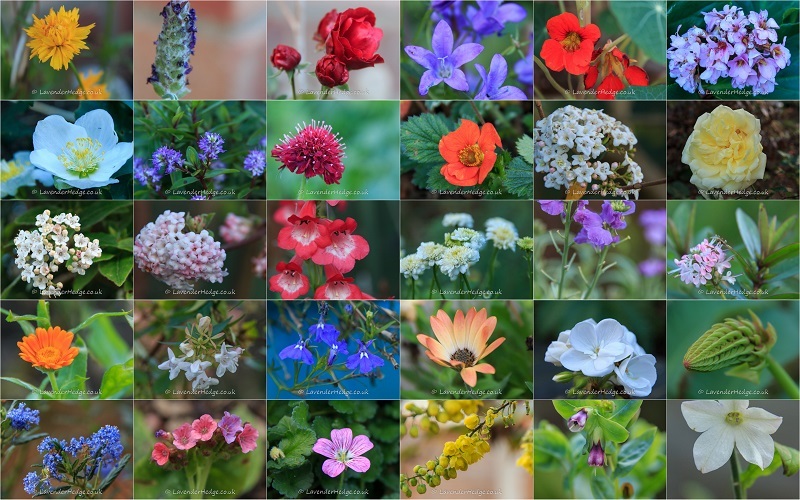 Between Christmas and New Year I always like to wander round the garden to see what is in flower in the middle of winter. This year, as well as the usual winter flowering plants that I would expect to see, there were some unexpected surprises like lavender and roses, that shouldn’t be flowering in December! 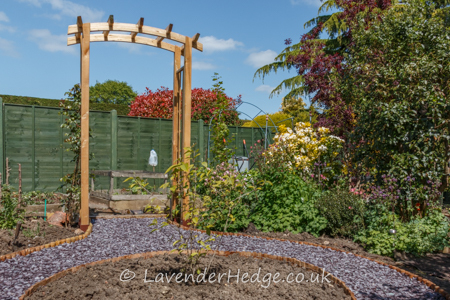 Garden arches make interesting features in garden design. Use them to separate different ‘garden rooms’, or to give some height to a newly planted garden, or even just to grow climbing plants up them. It is worth investing in a good quality arch as cheap ones often rot very quickly or are not strong enough to take the weight of the plants growing up them. Our garden has extremely heavy, clay soil – the sort you could make pottery from if you were so inclined. Generally it is either too wet or rock solid and I have to wait for a gardening window when digging over the soil or planting anything. 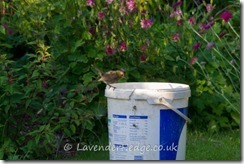 I have added loads of home-made compost and grit over the years, which has improved some areas. However, the most important lesson I have learned is to grow plants that are tough and don’t require too much fussing over once established. 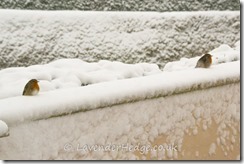 Tonight it was so dry that I just had to water the vegetables and annuals. Our neighbour has a pond, but I swear the frogs spend more time in our garden than in the pond. 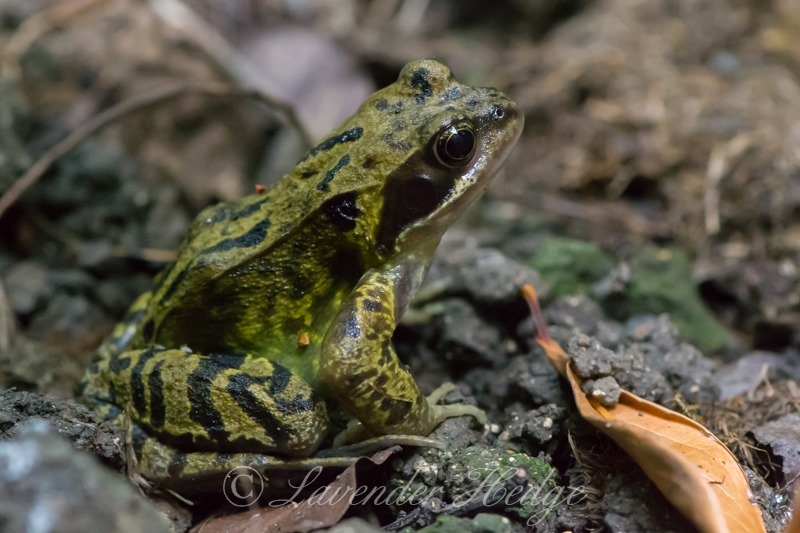 This little chap was sitting under some foliage trying to look cool! I am pleased to report that we have a new addition to our garden. 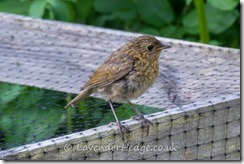 This evening I was delighted to meet ‘my’ baby robin – the one I have helped to feed over the last few months! He/she was hopping around me when I was weeding and seems just as curious and friendly as his mum. No sign of his parents though, so I guess he’s fending for himself now. 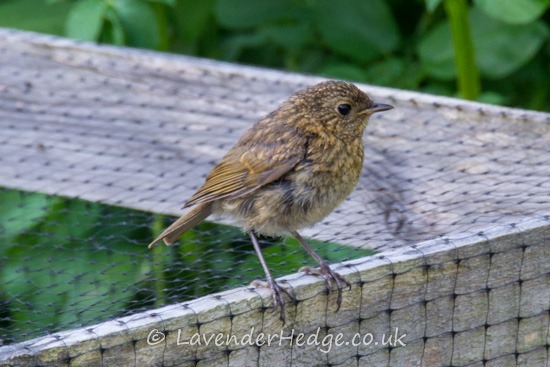 Meet Mr and Mrs Robin, his parents, who absolutely loved the suet pellets I fed them through the long cold winter.